Located just east of the famous ruins after which it is named, Ayutthaya provides the setting for a holiday of historical, natural, and cultural exploration. 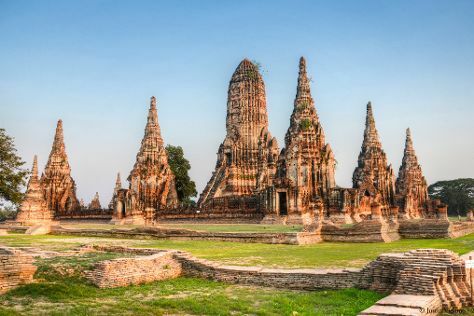 Visit the heritage park to see the remains of sprawling temples and other buildings that once formed the capital of the Ayutthaya Kingdom and now represent one of the country's World Heritage Sites. Back in the town center, Buddhist temples sit alongside colonial buildings, and modern museums shed a light on the wider region's complex cultural and political history. The river flowing through the city makes for rewarding sightseeing in Ayutthaya, as it curves past a wealth of natural landmarks and animal conservation sites. Ayutthaya is in Ayutthaya Province. Our Thailand trip maker site allows you to plan your trip to Ayutthaya and a wealth of other destinations big and small.